With just a handful of games remaining on the NBA regular season schedule, the Golden State Warriors are still heavy title favourites. The NBA regular season play concludes on April 10, which means it’s time to get excited about the postseason. With the playoff picture getting clearer by the day, all eight playoff participants in the Western conference have been confirmed, though teams are still jostling for seeding positions. Golden State and Denver are fighting for the top spot in the West, with the rest of the group bunched closely together in Houston, Portland, Utah, the Clippers, San Antonio, and Oklahoma City. The next few days will be crucial in determining who finishes where, as the seeding dictates the postseason matchups. The East is a bit murkier when it comes to the postseason, as Orlando and Charlotte are hoping to sneak in past Miami, Brooklyn, or Detroit. Milwaukee is almost a lock for the top spot, as is Toronto for the second seed and Philadelphia for the third. Boston and Indiana are currently tied for the fourth spot. It’s been a rough few weeks since our latest check in on February 20 for the Boston Celtics and the Oklahoma City Thunder. Winning just two of their last seven contests, the Celtics are still struggling to find their rhythm on the hardwood. Their NBA Vegas odds have plummeted as a result from +950 on February 20 to +1800 as of this writing. Similarly, OKC has gone from looking like a home playoff team to currently holding the last playoff position in the West. They dropped seven of their last nine as Paul George and Russell Westbrook continue their offensive woes. The Thunder had +1600 NBA odds to win the title before their slide, but now find themselves as +3500 long shots. Here are the top five favourites expected to compete for the title. The Dubs keep on rolling, and the amount of talent on the roster makes them a no-brainer for the top title favourite at -220 on the NBA lines. With that being said, they haven’t been a good bet so far this season, as their success means they’re drowning in chalk. Golden State has covered the spread in just 41.9% of their contests, which is the third-worst mark in the league. Steve Kerr’s team should be much more focused come playoff time, however, so there shouldn’t be any reason to panic with the defending champions. Speaking of ATS records, the Bucks have been the surprise of the season (the good kind), covering the spread at a league-best 61.6% mark. While this team boasts the best record in the NBA, they’re inexperienced when it comes to postseason play. What’s more, shooting guard Malcolm Brogdon is currently out with a minor plantar fascia tear and could be sidelined until the middle of May. Superstar and NBA MVP candidate Giannis Antetokounmpo and his sidekick Khris Middleton will have to keep playing terrific basketball in the playoffs for this team to earn a title. Taking a page out of the Warriors’ playbook, the Raptors haven’t concerned themselves too much with the regular season this year, which is a departure from their previous seasons’ philosophy. Covering at just 43.4%, it’s clear that this team’s goal is to be as healthy as possible heading into the postseason. Canada’s team remains a bona fide contender at +1000 on the NBA betting lines. Thanks to co-MVP candidate James Harden, who has been on fire lately, Houston has gone 16-3 over their last 19 games and is back in our top five favourites list at +1200 NBA odds. This team gave the Warriors all they could handle in the Western Conference Finals last year, so expect much of the same this season with a slightly different supporting cast. It would benefit the Rockets to keep up their excellent play, finish the regular season strong, and lock in the third seed in the West to avoid facing the defending champions until the Western Conference Finals. The 76ers have been solid down the stretch, with the exception of a few lapses in concentration where they’ve shown inconsistency between games. Blessed with one of the deepest rosters in the East, Philly will be a force when the chips are down. Keep checking with Bodog Sportsbook as we approach the NBA postseason for fresh basketball odds. The NBA is one of the most popular sports in North America and growing, partly due to superstars that are accessible to fans through social media. The league is full of vibrant personalities and intriguing storylines that inevitably unfold each season. Not to mention the quality product on the court, featuring players that are more athletic and better skilled than they’ve ever been before, which makes for colourful highlights you can watch at the conclusion of the game. The contests are generally fast paced and don’t drag on, which fans appreciate in the current climate of social media. Due to the league enjoying great popularity among the public, NBA basketball betting has been picking up steam as a result. 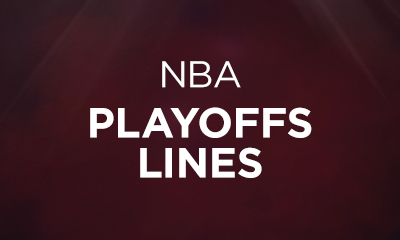 It’s not uncommon to hear announcers and pundits discussing NBA odds during a game or series preview in all types of entertainment outlets: television, online, podcasts, you name it. 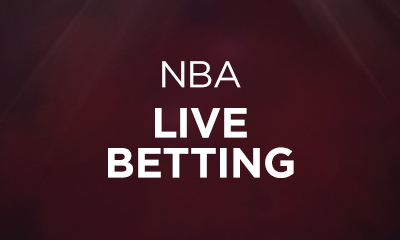 With a plethora of NBA betting options available to you at Bodog, from spread to live betting, this “how to bet on NBA basketball” guide will help you choose the best wagering strategy by explaining each bet type and the differences among them. Here’s NBA betting explained in detail. The most popular bet in the sport is the NBA spread bet, which typically includes a favourite and an underdog. The favourite team in the contest will be given a point cushion by the oddsmakers called the “point spread” by which they’re expected to win. Point spread betting is popular because the odds of betting on either team are fairly even. The point spread compensates for the quality of either team and the likelihood of a certain team winning the contest. Since the Raptors are minus 4.5 points, it means they’re expected to win by about 4 or 5 points. If you bet on the Raptors, they’ll have to win by 5 points or more for your bet to pay out. Conversely, a bet on the Thunder means that Oklahoma City will need to win the game outright or lose by 4 points or fewer for the bet to be a winner. With point spread betting, you aren’t betting on who wins the game – it’s about by how many points a team wins, if the favourite prevails. The -110 odds in the parentheses are an indication of how much you can win on a certain bet. A minus sign tells you the amount you need to bet in order to win $100. In this case, a $110 bet will yield a profit of $100. An exciting way to change things up is by “buying points” with NBA spread betting. You can increase your odds of winning by buying a half point. For example, you can turn the Raptors line in your favour by changing it to -4 instead of -4.5 for a little extra security. However, you will be required to pay a premium for this. The odds for doing so may shift from -110 to -120, for example, as your odds of winning (or at least not losing) have increased. When the point spread is an even number (4-point spread, for example) and the favourite wins by exactly that many points, the bet is a push and your initial wagering is returned to you, regardless of which team you wagered on. In this example, the Toronto Raptors are favoured over the Oklahoma City Thunder, which is why they have the minus sign in front of their odds. Remember, having the minus sign in front of a number indicates the amount you need to bet in order to win $100. In this case, you’ll have to bet $250 to win $100 when betting on the Raptors (or a proportional fraction of this amount). On the other hand, the plus sign indicates the payout amount when you wager $100 dollars. If you choose to bet $100 dollars on the Thunder and they prevail, you collect $180. NBA total betting, also called the NBA Over-Under betting, is another simple type of wager you can place where you’re picking whether the total number of points scored in a game or a half will be over or under a designated points total set by oddsmakers. How does betting on NBA totals work? The oddmakers have deemed that the likeliest outcome is for the two teams to combine for approximately 216 points in the matchup. In this example, you have to pay a little extra to bet on the Over – $115 dollars to win $100 versus a $105 dollar bet if you choose the Under. This is likely because more of the betting action so far has been on the Over, so the sportsbook wants to entice bettors to take the better deal to even out both sides of the bet as much as possible. If you wager on the Over, you’re hoping for lots of free throw attempts and made three pointers to increase the scoring of the tilt. Your bet is a winner if the teams combine for over 216 points (for example, if Toronto wins 114-108 for a total of 222 points). The opposite is true if you wager on the Under. If the teams combine for exactly 216 points (for example, Thunder wins 110-106), the bet is a push and you’ll receive your initial wagering amount back, regardless of whether you wagered on the Over or the Under. Similar types of bets can be placed for single half totals, either first or second halves. 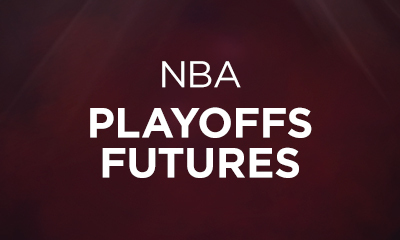 Betting on NBA futures is exactly what it sounds like – you’re wagering on what will happen in the future. If you enjoy making predictions about how a certain team will perform and how far they’ll go, NBA futures odds betting might be for you. The most common type of NBA futures betting is picking division winners, Eastern and Western Conference champions, and, of course, the eventual NBA champion. At the beginning of the season, Bodog will give you an option to bet on every NBA team to win their division, conference, and championship. As the season progresses, some teams might be scratched from the list if it’s clear they’re out of the running for the title. Below is an example of what the preseason Atlantic Division odds could look like. Obviously, the above example assumes that the Raptors are considered to be the best team in the division before the season starts, hence the need to pay a premium to wager on them. Meanwhile, the Brooklyn Nets are the bottom dwellers of the division. Your payout is much more lucrative if you bet and hit on the Nets (an enticing 200/1 affair), but the reason that payout is so great is because it’s an unlikely event. You have to weigh the risk/reward of the wager while keeping in mind the likelihood of each event taking place. Similar bets can be placed on conference and championship winners. As the season matures and the contenders start separating themselves from the rest of the league, the odds reflect those changes. If a team that was an overwhelming favourite has suffered a season-ending injury to their superstar, while simultaneously having trouble integrating the rookies into their rotation, their odds will likely go down as a result. Be sure to stay current with the ever-changing odds and jump at the opportunity if you believe a team’s setback will be temporary. You could reap the benefits of the wager value at that time. Betting on NBA props is similar to futures betting, but while the latter is more of a macro bet, prop betting allows you to bet on more detailed events that occur in the game or within a season. These are bets that may not impact the final outcome of a game and some can be quite trivial, such as whether the total number of points scored will be an even or odd number at the end of the game. Below is a description of some of the most common prop bets you can make. These props encompass events that will happen within the game. 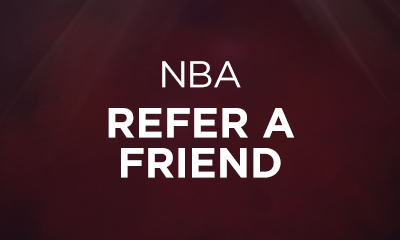 One of the most common bets of this type is the NBA player prop, which allows you to wager on the number of points a star player will score in a contest, for example. The Over/Under for the Raptors’ superstar DeMar DeRozan could be set at 26.5 points when he faces the Thunder. Similar to Over/Under totals betting, you can wager that he will score more (27 points or more) or fewer (26 points or fewer) than the line. If you enjoy betting on longer-term outcomes, NBA season props might interest you. This type of wager involves betting on the outcomes that will materialize (or not) at the conclusion of the regular season. These include NBA team props as well as NBA player props. An example of a team prop bet would be wagering on a team’s win total for the season, or whether or not they’ll make the postseason. The Toronto Raptors’ line could be set at 52 total regular season wins and you can bet the Over or the Under, depending on how well you think they’ll perform during the season. A player season prop could be tied to receiving a regular season award, such as the MVP or Rookie of the Year. NBA special prop bets could be anything not described above. For example, the sportsbook may have odds on where a high-profile free agent, such as Lebron James, will land the following season. There may be a list of the favourite teams that the media and the people involved with the league have been discussing, as well as an ‘Other Team’ option for his destination. NBA parlays allow you to string together multiple individual bets under a single wager. Combining these bets yields a significantly higher return than placing the bets individually, as the winnings from one bet are subsequently reinvested into the next one. However, this type of wager is also riskier, as you have to hit on all of the individual legs of the parlay for the bet to be a winner. You can parlay anywhere from two to 12 lines, including some props and future lines where applicable, into a single wager for a higher reward. If even a single individual bet within a parlay is not successful, the entire wager is lost. However, if one of the legs of the parlay ends in a push, or is graded no action while all the other components are winners, that leg of the parlay will be removed from the parlay and the other legs will stay in the parlay as winners (or an individual bet if all but one winning bet in a parlay is a push). How are NBA parlays calculated? An example is the easiest way to illustrate the upside of a parlay bet. Revisiting our previously mentioned odds, in this scenario, you believe that the Raptors will beat the Thunder by over five points and it will be a high-scoring game, over 216 total points scored between the two teams. You decide to parlay the Raptors on the point spread with an Over 216 points total bet. If the Raptors defeat the Thunder by a score of 113-107 (six-point Raptor win and 220 total points scored) and your parlay wins, your payout will be $156.92 plus your initial $100 investment. However, had you placed an individual bet of $50 on each outcome, your winnings would total just $88.92. This is the power of compounding profits, which becomes a bigger factor the more bets you add to the parlay. NBA teaser betting is a mixture between buying points and parlay betting. You can add up to 10 individual bets in a teaser wager. Teaser betting allows you to adjust the point spread in your favour by 4, 4.5, or 5 points if you feel like you need a cushion for your bet. However, this comes with an extra cost, as you’ll have to pay more for the same reward than with a regular point spread bet. The premium you have to pay for the extra security increases as the teaser points increase. Another option to consider are sweetheart teasers, which provide even more cushion than a regular teaser bet – 8 or 10 points. But again, this comes with an even higher cost. Depending on your betting strategy, you may opt for sweetheart teasers to increase your chances of winning. Live betting on the NBA is one of the most exciting ways to get in on the action. You can bet on most single game events, including the moneyline, the spread, total points, and even prop bets, while the game is unfolding. If you enjoy picking up on subtle clues during an NBA game that may foreshadow what will happen next, this betting option is right up your alley. You could take advantage of the ups and downs that occur during most NBA games by wagering on outcomes whose odds may be temporarily depressed. For example, if you know a team that gets down by 15 points in the second quarter has a knack for comebacks, you may choose to take a chance on that squad and reap higher profits if the comeback does transpire. Each of these wagers is ideal for a certain bettor. Whether you like the thrill of high risk/high reward, or the security of betting on a sure winner, there’s something for you in our sportsbook. Have a look, play around with the Bet Slip, and compare payouts with different combinations. It’ll enhance the game-watching experience.